Repsol Honda rider completes just 37 laps on day two of testing. 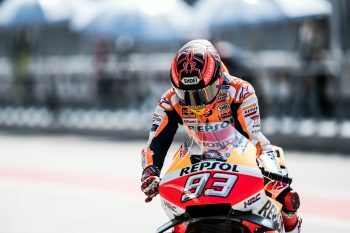 Marc Marquez’s recently repaired shoulder hindered his track time on day two of three in the 2019 MotoGP World Championship test at Sepang International Circuit in Malaysia. 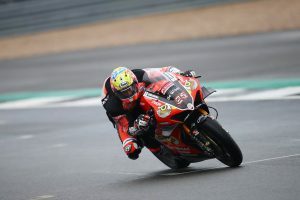 The reigning champion, who set the fastest time on day one, mustered up the eighth quickest lap on Thursday after only completing 37 laps due to difficulties with his shoulder. Marquez routinely completed over 90 laps per test day last season, with yesterday’s lighter load an intended measure to ensure he can take to the track in today’s final day of testing. “Today we worked much the same as yesterday and tried a few new things, the most important ones for Honda,” Marquez explained. “I started the day well but then the shoulder started to get a bit worse so we stopped to be able to run well again tomorrow. Maverick Vinales (Monster Energy Yamaha MotoGP) topped the timesheets on day two by over half a second, as Alex Rins (Team Suzuki Ecstar) and Australian Jack Miller (Pramac Racing) closed out the top three.